Teams will compete in mini challenges to earn funny money to bid at the auction to get extra equipment to build a vessel capable of sailing to victory! 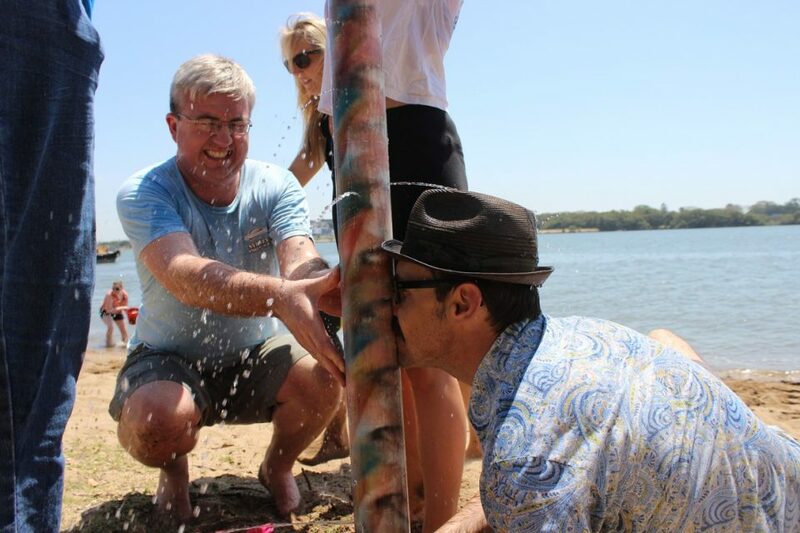 What makes Construct It – Raft Regatta so popular? 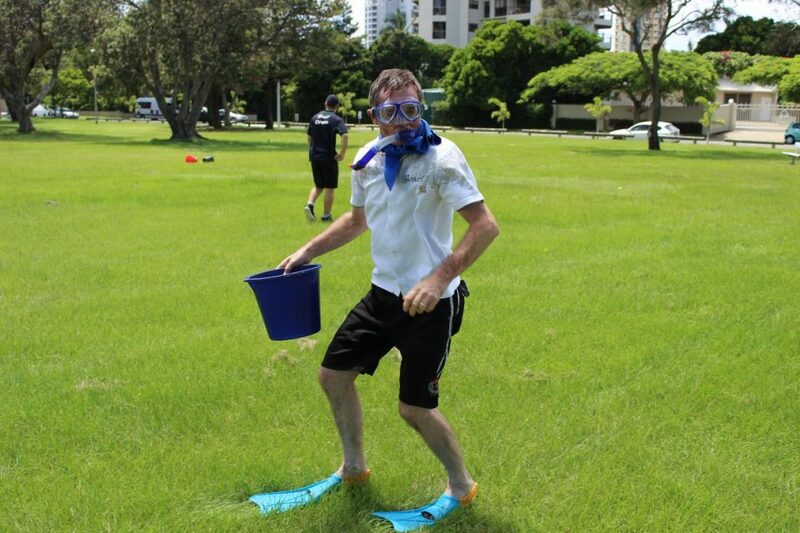 Will your team sink like the titanic or sail to victory! 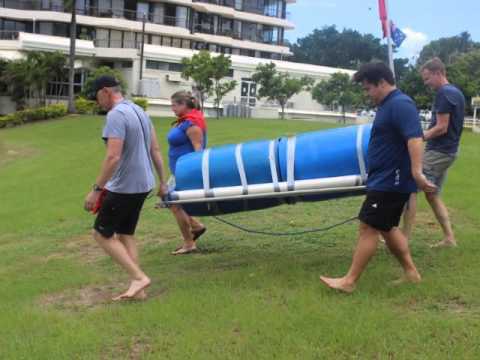 This raft regatta team building activity starts with teams battling it out in a number of team challenges to win points that will enable them to bid at the auction to win additional equipment to help make their ocean going vessel more sea worthy and capable of sailing to victory. This is where effort will be rewarded. 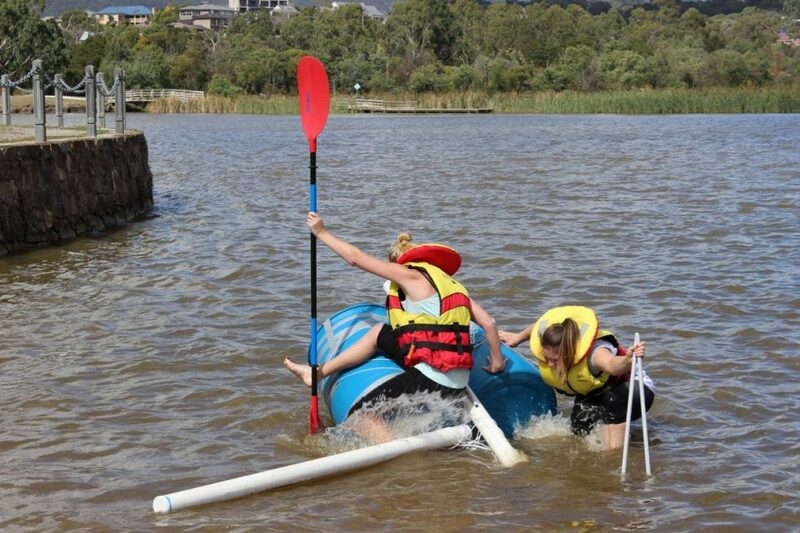 Once the battles have been fought and won and the auction is completed, each team must then use the supplies they have and work together to build their own raft. Speed, safety and seaworthiness are key. 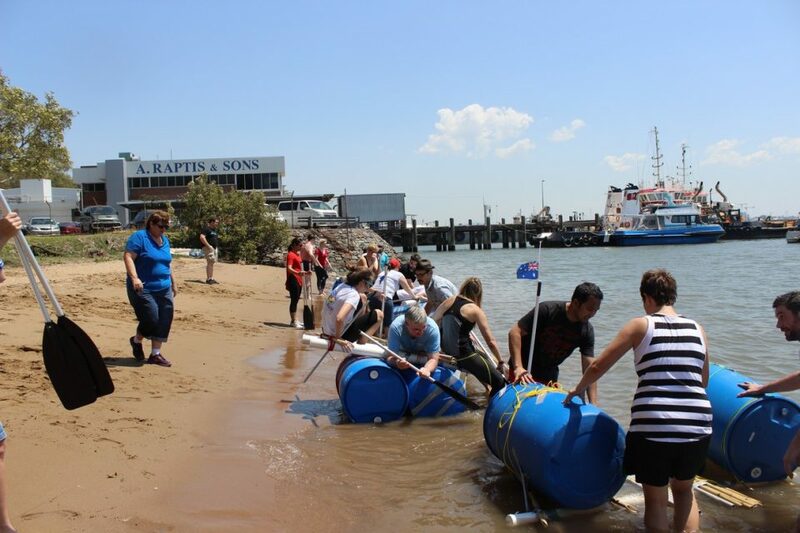 Once the rafts have been constructed the teams must pick a crew and approach the starting line where it will become apparent that team cooperation is the major strategy. Teams must now paddle for line honours, with their team-mates shouting encouragement. 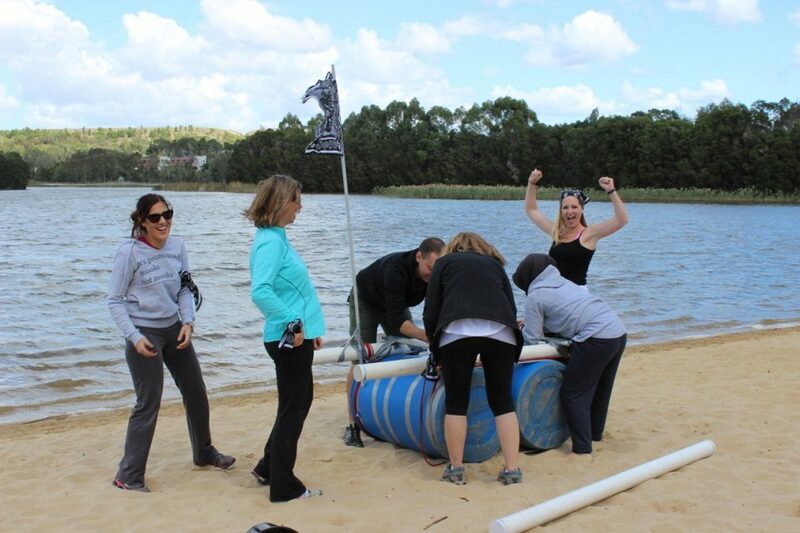 The race is always a source of plenty of laughs and gives teams a chance to develop team spirit as they barrack for the crew of their raft. The first team to reach the finish line are crowned the champions! 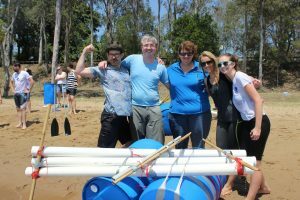 Construct It – Raft Regatta is a fantastic team bonding activity that is full of laughter but also creates unity, team work and a positive shared experience. The minimum duration is 1 1/2 hours and maximum duration is 3 hours. The minimum group size is 10 and the maximum group size is 100. Q: ARE LIFE JACKETS SUPPLIED? Q: IS THIS PROGRAM SUITABLE FOR THOSE PREGNANT? Yes and No. Those who are pregnant can definately participate in some of the group challenges and the building of the raft but we recommend that they don't participate in the regatta race.